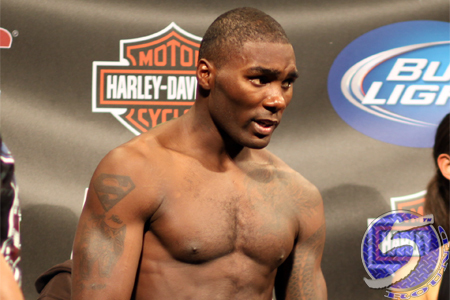 Former UFC star Anthony Johnson (Pictured) has found a new home. The controversial middleweight has signed a deal to join Titan Fighting Championships. “Rumble” will make his promotional debut on May 25th at “Titan Fighting 22.” The organization is currently searching for an opponent. It was the third time in Johnson’s 11 trips to the UFC’s scales that he missed the mark. The veteran weighed 177.5 pounds in his September 2007 contest against Rich Clementi and was 176 pounds for his October 2009 scrap with Yoshiyuki Yoshida. Both welterweight bouts were fought at catchweights based off Johnson’s respective weight.